What Are Some Tax Write Offs for an LLC? The IRS does not consider the LLC form of business organization to be a separate taxation category. It will disregard a one-member LLC and tax its income as the member's personal income, and will tax an LLC with at least two members as a partnership. Certain types of business expenses can be deducted in both cases. Corporate tax deductions will apply if an LLC elects to be taxed as a corporation. As of November 2010, LLC members may deduct up to $100,000 per year for property purchases. Real estate and intangible property, such as intellectual property, are generally excluded from this deduction, and certain other exclusions apply. Equipment, office furnishings, computers and off-the-shelf computer software are included in the deduction. If the LLC's total purchase of eligible personal property in a single tax year exceeds $108,000, the excess must be depreciated over the property's useful life. The reasonable cost of meals, lodging, travel and fees for professional conventions and continuing education programs can usually be deducted from the LLC's income. Members who are employed by the LLC may also deduct reasonable out-of-pocket expenses for these events. Dues for professional associations and subscription costs for professional journals can also be deducted. All of these expenses must relate to the business of the LLC. The cost of work-related employee education and training can be deducted from LLC's income, at the rate of $5,250 per employee as of November 2010. The education and training must be designed to improve or maintain the employee's skills in his present position. It cannot be designed to train the employee to meet the minimum standards of his present position, or to prepare him for another position. The cost of tangible property included in an employee productivity or longevity award may be deducted from the LLC's income. Specifically, as of November 2010, up to $400 per employee may be deducted, and an employee may be given an award as often as every five years. Nevertheless, the award process must be selective -- a policy of automatically giving every employee an award worth $400 every five years will be viewed with suspicion by the IRS, because it indicates that the intent of the award system is to reduce taxes rather than to encourage employees. Awards given to LLC members who are not employed by the LLC cannot be deducted. 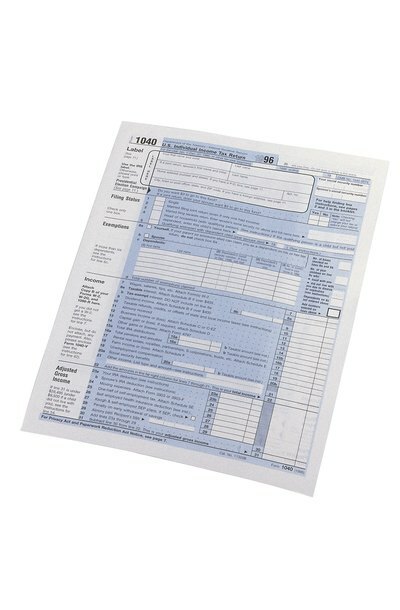 A qualifying LLC can elect S corporation tax treatment by filing Form 2553 with the IRS. Certain restrictions apply, such as a limit of 100 LLC members. The LLC itself will not be taxed, except for some forms of passive income. In contrast to partnership taxation, LLC members will be relieved of the obligation of paying self-employment tax on LLC income that is not actually distributed to them. This could result in significant tax savings for members if the LLC does not distribute much of its income. When researching the best legal structure for your small business, you may consider a limited liability company, or LLC, and an S corporation. Both LLCs and S corporations protect owners from personal liability for debts, and pass through their income to owners who then pay personal income taxes on those earnings. These entities have many similarities, and a few important differences, when it comes to taxation. Can an LLC Partner Claim a Business Income As Self Employment? From a legal perspective, there are no partners in an LLC, only owners -- who are called members. LLC members, in most cases, "must" claim business income as self-employment earnings. LLCs are "pass through" businesses, with all profits and losses treated as self-employment personal income or loss. However, there are a few options to treat LLC income differently.